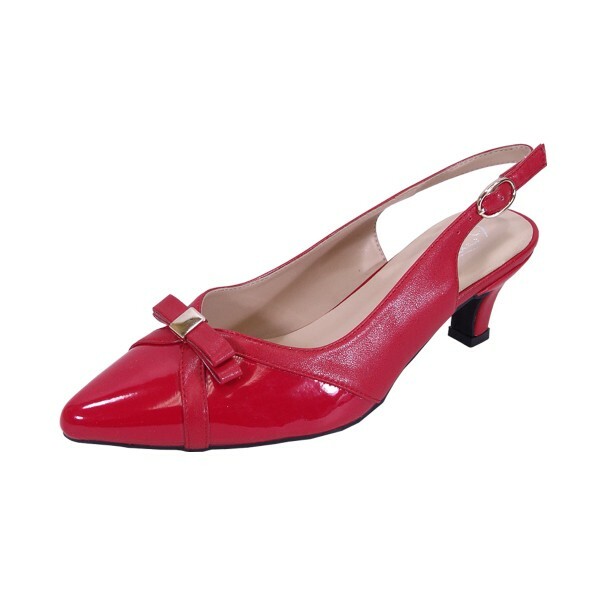 PEERAGE Sammy is an extra wide width slingback 1.5" low-heel. 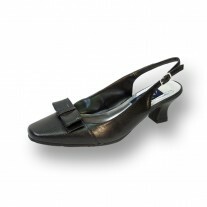 This lady is beautifully designed with patent leather and a stylish adjustable buckle. 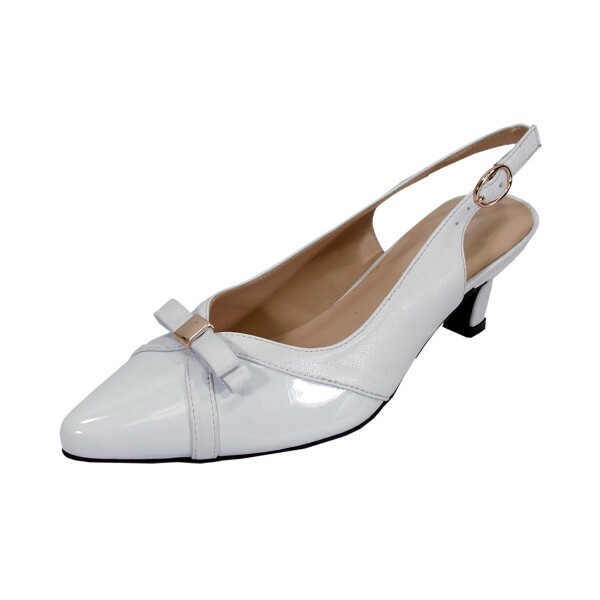 Decorated on the toe-cap sits an ornament bow, bringing a fashionable touch. 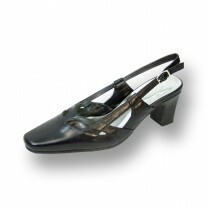 A cushioned insole adds comfort while the outer rubber sole helps with maximum surface traction. 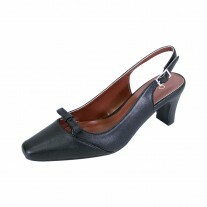 The stain resistant microfiber leather completes this style for long day support.